The ideal way to get the perfect matching roof and siding colors is to replace them together, but the combined cost can prove too much to do at one time, and one or the other may not be up for replacement yet. The next best thing is to match your new roof to your siding, or vice versa. 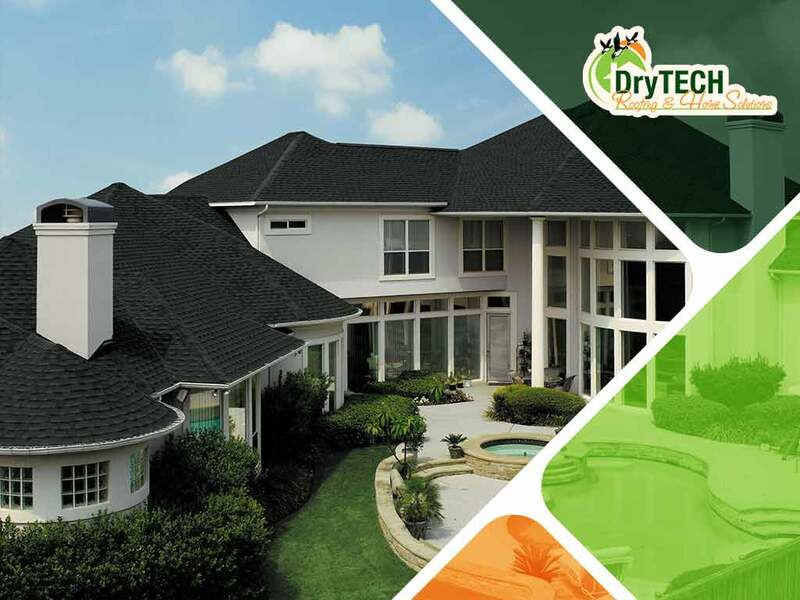 As one of the leading roofing contractors in Maryland, DryTech Roofing shares some of the things you should consider when matching one with the other. The first thing you should consider – even before you start looking into color options – is the permanent components. It could be a brick or stone exterior, or perhaps a historic design element that has a striking enough color that it affects the color palette. This may sound limiting, but think of it as a way to focus your color selection. Another element that is sometimes considered by roofing contractors as a semi-permanent component is the landscaping. If you want your exterior colors to stand out, then you probably don’t want to choose something in the same color range as the flora. Also, keep in mind that the exterior color palette will be visible all year round, so you might also want to avoid shades of orange and red if your surroundings look the same in the fall. Taking the time to research the architectural style of your home can help you find inspiration for a good match between your roof and siding colors. Certain architectural styles simply look best when their traditional colors are used. Neoclassical architectural styles, for instance, wouldn’t look right unless the exterior is all white. Mediterranean architecture is another example. While you can have modern elements, such as GAF Monaco™ Lifetime Designer Shingles instead of traditional terracotta tiles, it would look wrong unless the siding matches traditional stucco walls. Design tools are not considerations in themselves. You should consider using all the tools you have on hand to find a good roof and siding color match. One of these tools is the Virtual Home Remodeler, a free online tool that lets you mix and match different siding and roof options, and see them virtually installed on your home, in real time. To learn more about how roofing contractors can help you match your roof and siding, call DryTech Roofing today at (240) 491-5600. You can also fill out our contact form to schedule a free estimate. We serve Maryland and the surrounding areas.